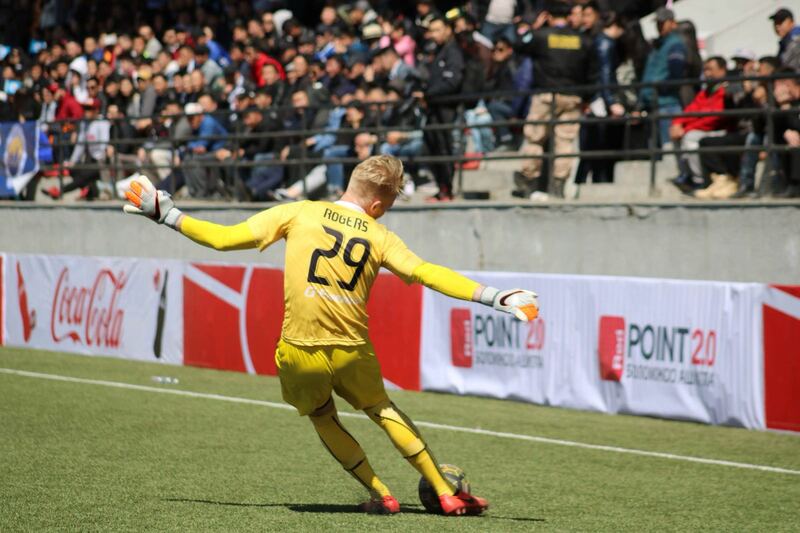 Austin Rogers, an American 23 years-old goalkeeper, plays in the Mongolian National Premier League for Ulaanbaatar City FC, after having tried his luck in Greece and Albania. The young guy left his country when he was 18 to pursue his passion, and is quite happy with the experience. mycujoo talked to him; let us tell you his story. It's a fact that a passion for football can make you travel. But some make longer moves than others. In the case of Austin Rogers, an American goalkeeper, he would have struggled to travel any further away from home. Born in Portland, Oregon in 1995, he is now playing in Ulaanbaatar, Mongolia. 8585 kilometers (5334 miles for him) away, a 16 hours flight. How did he end up between the posts of Ulaanbaatar City FC? Let us tell you the story. In fact, Austin first landed in Greece, and then moved to Albania. "I was 18 when I came to Greece. I was trying out with the PAOK U-20 but it eventually fell through and I ended up finding a club in Albania which is not far from Greece, Besa Kavaje, a first division club. It was my first full time professional contract", he explained to mycujoo. It was a first experience which proved successful, and enriching. "I was there half a season, I was replacing their regular goalkeeper and that went well, I played pretty much all the games. For a 20 year-old kid, playing in packed stadium is a different level, such a different atmosphere… Experiencing the promotion-relegation system was also something for me, it’s been an eye-opener to say the least." Austin’s dad was a goalkeeper himself, Glenn Rogers, playing for Portland Timbers in the 80s. His two brothers are as well. How to explain this? A sort of family curse maybe... "Goalkeepers are crazy and my family is definitely crazy so that might be the explanation! ", he says laughing out loud. "When you are a kid you are idolizing your father, you’re watching him so I guess that’s why. Originally my dad did not want us to be goalkeepers, but it all happened very naturally. I was not even that interested in playing football until I put gloves on, and then that was it, that’s what I wanted to do. I never wanted to be a field player, I don’t like to run! Let the ball come to me, I don’t want to chase it", he adds, giggling. In the end, he is the only one of the brothers who moved to Europe. Which you would think is not an easy decision to make when you are 18. Not for Austin. "Every young kid in the US wants to go to Europe. When you are an aspiring player, that’s where you want to be because this is where you have the highest levels of football, this is also where the money is. I wanted to go to Europe, found this club in Albania who wanted me, I wanted to play for them and here you go! It was a sort of validation process for me, ‘yes, I can play in Europe’ and then once you are there, who knows where it can lead you?" But how did his parents react? "I think they wanted me out of the house actually! ", he answered, laughing. "My dad had a more traditional american soccer career: he went to university and then signed a professional contract in Portland and stayed there. In the past it was a rather natural path. But I was never interested in playing at university, nor in lower divisions in the States. So after a season in the PDL, I was not interested in this anymore, that’s not how I was envisaging my career. So for me it was easy, I wanted to go to Europe and that’s it." After his spell in Albania, Austin then moved to Mongolia. Based over there for three years, he adapted very quickly, despite the cultural differences and the language barrier. "You can find pretty much whatever you want here, people are very welcoming too. To be honest it’s not been a very big challenge to adapt. My Mongolian is basic! I can take taxis and talk on the field, but that’s about it. 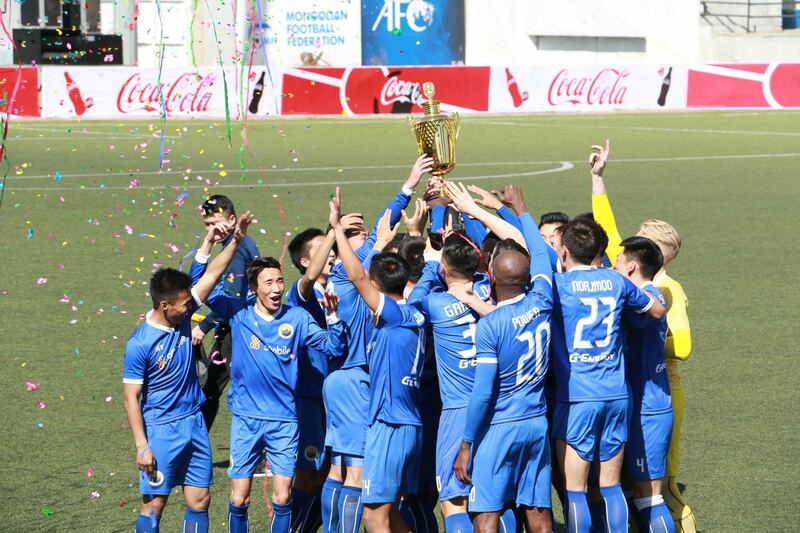 I would not say I am conversational just yet..."
In terms of level of football in Mongolia, Austin saw an evolution in the last years. "It’s actually funny, I have the feeling I have been playing in three different leagues: every season I came back, it changed one way or another. I feel it improved, to the point that some players are leaving their original clubs to come and play in stronger clubs for better salaries, there are more and more investments. It’s still a long way to go but I really see it improving rapidly." His parents even came to visit a few weeks ago ("A cultural shock for my mum, who had never left the States! "), and he feels good in his ‘new’ country. "Of course it is challenging, you miss out on many things, relationships, your friends, your family when you are away. You come back home every six months and everything is different, it is not easy. But then you balance the highs and the lows and the fact I can play on Saturday nights in front of big crowds, and get paid for what I like to do is just great. It is a matter of finding the right balance. And then by the time you adapt, it’s time to leave again!" Not that Austin wants to leave right now, but at some point, he might pack his bags again and find another club, somewhere else. "This season my form has not been to the standards I like it to be, so part of me thinks it’s time to try another country, another environment. I am content with my life in Mongolia, I’ve made some friends and connections but I feel my options are quite open. I have more ambitions in my career in terms of bigger leagues and clubs and things I want to accomplish."